Anti Aging Vitamins in a Glass! This is the finest way to get your 5 a day. No hassle, ready in a flash and tastes scrumptious. 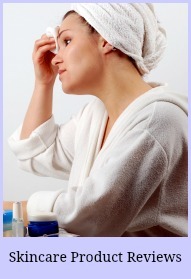 To make your anti aging juice you can use almost any kind of vegetable or fruit. All fresh vegetables and fruit contain powerful free radical fighting antioxidants and combinations of vitamins and trace elements that are vital for maintaining a healthy body. Apples: Fibre, flavonoids and vitamin C Quercetin helps lower cholesterol plus high water content to rehydrate the body. Pineapple: Anti inflammatory, aids digestion and supports immune system. Carrots: Beta carotene helps cells fight viruses, cancer and heart disease. Cucumber: Cleansing and good diuretic. Celery: Reduces acidity contains potassium, iron and calcium, vitamin B and C.
Spinach: cleansing and rejuvenating. Chlorophyll detoxifies and purifies blood and aids immune system. 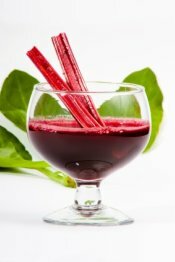 Raw Beetroot Detoxifier and blood purifier. rich in nutrients essential for immunity. Lime: Terrific cleanser, anti-viral, stimulates immune system,and adds zing to juice! Ginger: Detoxifies, aids digestive problems. It is a natural antibiotic and a good decongestant. Avocado: Besides good fats, boasts a host of vitamins and minerals and adds a creamy texture and taste to juice. Banana: B3,B5,B6 and C provides energy, contains potassium and lots of fibre. Thickens texture of juice and sweetens. Juicing basics is a crash course on healthy juicing. All you need to know to get started on one page. treat common ailments like indigestion, high blood pressure and insomnia. 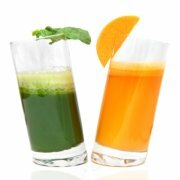 You will find these simple but effective formulas at Juicing Recipes for Good Health. New to juicing? I have put together some information about inexpensive juicers and how to choose one that is good without having to take out another mortgage! Which Juicer has the lowdown! Choose a solid juicer with a wide chute. will get up to 20% more juice and anti aging vitamins from your veggies and fruit. 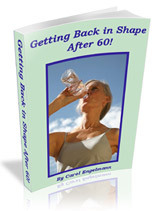 out more about Why Water Is Important in the prevention of age related diseases. For a fresh complexion, supple skin and fewer wrinkles too there’s nothing better. TIP! How To Lose Pounds In time for the Next Big Occasion!